No affiliation but I was looking for a 100% wool blanket to actually cut up and make an Anorak. Coleman's surplus annoyingly has all kinds of cool European military blankets listed on their site but they are perpetually out of stock. I'm getting the "can't determine image size" error so can't post pictures. Anyway $40 shipped to my door and since they are only 60 or 70 miles away FedEx dropped it off in 24 hours from order. I couldn't be happier with this. Says 100% Merino wool - I have no way to verify that but it is definitely 100% wool. Itchy to be sure. 61 X 79 inches, 3.6 pounds, made in Poland. 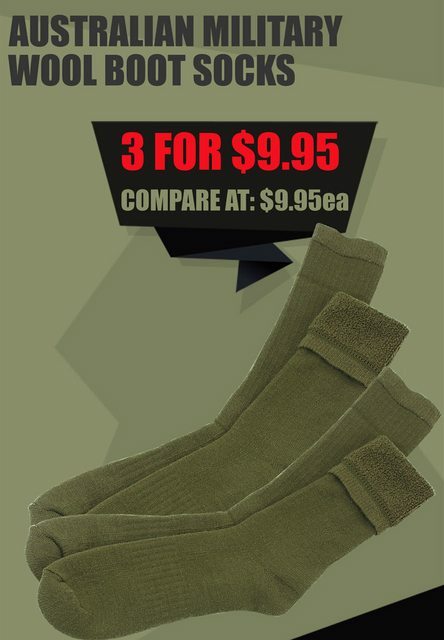 Available in forest green, brown and camo. I'm reluctant to cut this up for a sewing project but it will be perfect for an Anorak and save me at least $200. Comes from another forum but appears to be still active. These are great pants and the cheap shipping is $7.40 to Calif for example. Keepshooting has these pants for $51 in XL-Long, foiliage green and are listed as unissued. Anyone else having trouble viewing this site? In Chrome it's missing a lot of graphics and most of its formatting. I thought it might be an issue with my ad-blockers but even with them off I get the same thing. Tried it in Edge and one other browser and it looks the same there too. Okay, now it looks fine. Must have been having issues earlier when I tried. This email sale is full of great deals. 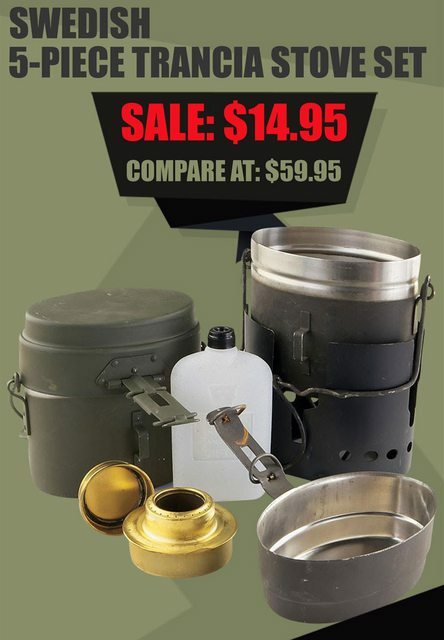 https://us3.campaign-archive.com/?e=[UN ... =HTMLEmail 4 ammo cans for like $10. 4 machetes for like $12 IIRC. A bunch of stuff that's great for bugging out or bugging in. Works for me in Chrome. But out of stock now. These are also great socks. For hiking and the like. Good thickness. And they ride above your boot. 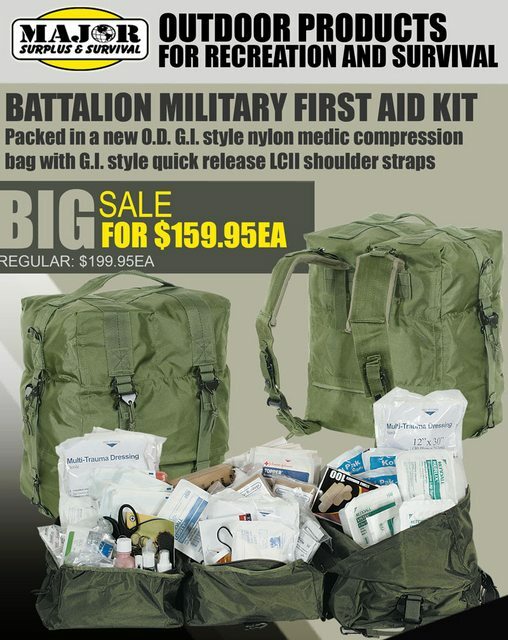 https://majorsurplus.com/bellview-heavy ... =HTMLEmail Website isn't showing the sale price. You might have to contact them. "Trancia"? Looks like a low-quality knock-off of Trangia. I'm sure it's a misspelling. They are too scratched up and worn to be knockoffs. This is my local surplus store. I'd say they are legit. I mean I'm sure it's Sweden's version of one. Moab wrote: I'm sure it's a misspelling. They are too scratched up and worn to be knockoffs. This is my local surplus store. I'd say they are legit. I mean I'm sure it's Sweden's version of one. Good to know. Sweden sent a bunch of milsurp Trangia stoves & kit to Lithuania after the latter became independent, and a lot of those are showing up on E*Bay. So they might actually be genuine as you note, in which case that's a bargain-basement price. Sopako Reduced Sodium civilian "MREs": Seven (7) for $24.43 shipped. 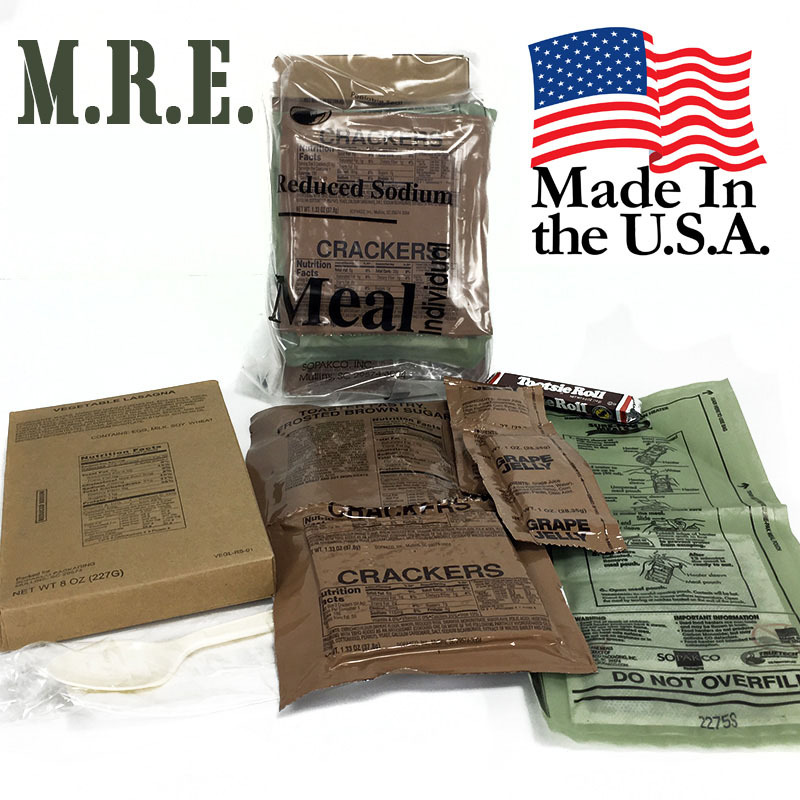 "MRE" in quotes because these are not complete MREs. They lack any kind of beverage and are a little light on the side items. See pic below for a good representation of what you get in each kit. The "toaster pastries" are - you guessed it - Poptarts (two, guaranteed to be fused together). Plan on the Tootsie roll spending some quality time in your mouth before you can actually chew it. I ordered these from this company a year or two ago. As I recall, it took a little longer to ship than I'd have liked, but Amazon Prime has spoiled me forever, as have unlimited data plans and heated car seats. Reduced sodium wasn't an issue; they seemed plenty salty to me. Biggest issue I have is they're towards the end of their shelf life, within a year or two if I recall correctly. If the 7.1 gajillion Youtube videos are to be believed, these will be fine for at least a few more years beyond their expiration. But I still wouldn't buy these as long term food stores. Instead, think of this as an inexpensive way to try out MRE-ish rations if you're curious and have never tried. FYI: all of the FRHs in mine activated fine and got good and hot. Heated car seats are good, but heated and cooled car seats are two steps above awesome. And a heated steering wheel is my arthritic hands best friend. 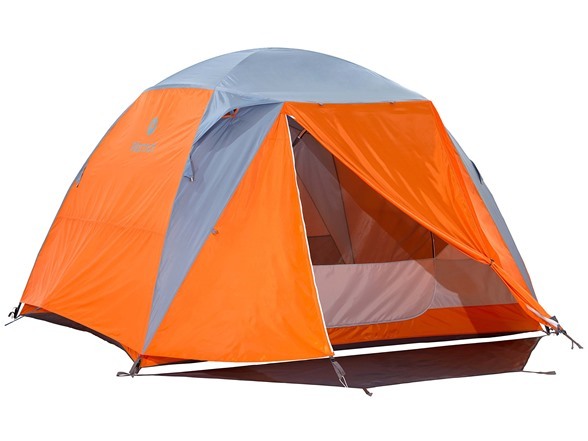 Marmot Limestone 4-Person Tent - $149.99 @woot.com (fulfilled by Amazon). Ships free with Amazon Prime. As always, a '4-person' tent is really only practical for 3 people. Not exactly low profile coloring, but if you're not worried about that sort of thing, this would be a good choice for a family or small group bugging out by vehicle or with the load spread out among the party. 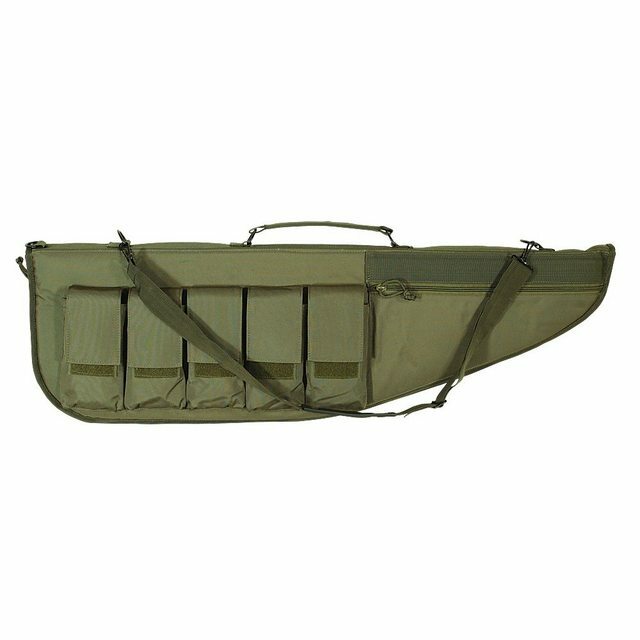 Big padded rifle case $29.99. OD Green or ACU. These may be VooDoo tactical seconds but I'm not sure. This is my local surplus store. Great deals. And quality products. They're owned by Voodoo Tactical. I'm seeing the tent as $39.99. Am I missing something? Have not been on that site in a long time. Wasn't really impressed by their optics prices but the body armor was priced nicely. $220 for a Spartan carrier with four plates is not bad. I believe however you may have violated the rules of the thread since the site requires membership. AT least we're still posting in here. I can see the tumbleweeds rolling by as I type this. lol. I think there's about a dozen members keeping this going. If that. Hey now! I post in here when I get a chance. I just don't do as much shopping as I used to. And for political/philosophy of life reasons, I"m doing more shopping locally. But basically I don't do as much shopping as I used to and so I don't find as many deals. Which makes me sad. On the other hand, when I DO go shopping it is for super unique parts or non-prepping gear. I found a great price on a new door handle for my Kia (old one is busted up), and I found a very useful set of vintage grips for my S&W K-frame revolver. I found after exhaustive research that Remington HTP is a good solid choice for .38 and .357 ammo, even in shorter barrels and lower velocities. And I have linked to a pretty good price for the 158 gr .357. I plan to stock up soon. There are other rounds I"ll buy specifically for hunting out to/past 50 yrds with pistols, but for SD or closer ranged hunting, I feel comfortable with them. I mostly stick with SGAmmo when I need ammo online, but LuckyGunner put out some fantastic tests on all sorts of brands and calibers. I want to support that and I"m going to be shopping with them more. https://www.ammunitiontogo.com/ has also put out some useful tests of ammo, filling in some gaps where LuckyGunner did not test and also providing additional insight into rounds that LuckyGunner did test. I'll be supporting them too. The idea is not to provide gear reviews, start comparisons or debate about vendors/websites. Most people already have their opinions and you can always start a seperate thread asking for a review or compare. Let's avoid links to members-only and deal-of-the-day websites. These sites have a proven value but have already been mentioned repeatedly in this thread. Regardlesss of their overall value, its a been-there, done-that for this discussion. Doesn't seem to say anything about how easy a membership might be to obtain. You really want that enforced? Because I'll then have to go through the thread and pull out every post going to a site that requires an account to make a purchase and doesn't allow guest checkout. There's a lot of sites like that and they are, technically, "members only" also. Obviously websites that require account registration are different from the members-only websites mentioned in the original rule as posted. If the rule stands, then those members-only places could have a thread of their own, especially since there are always always always deals on those. If the rule doesn't stand, please change the rule. Simple solution to a simple problem.